Shari Marshall asks, what do we teach our children to call genitalia? 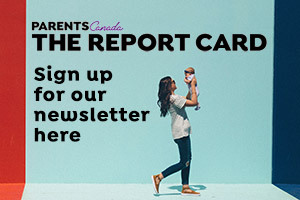 A new survey of more than 1,500 ParentsCanada readers shows that almost three-quarters consider themselves role models for healthy living for their children. But many face challenges such as cost and lack of time when it comes to being active, eating well and managing a healthy lifestyle. Children with autism often have difficulties communicating, tantrums, and aggression issues, and they don’t stop on Mother’s Day. Along with everyday parent duties, many also deal with sleep disorders, bedwetting for years and cooking special diets. Parenting is no easy task, and getting a helping hand here and there is always welcome. One sure-fire way to make things a little more stress-free is to introduce smart home technology to your life. Is pop culture creating a culture of disrespect among kids? Dr. Leonard Sax thinks so, and it’s time parents take note.